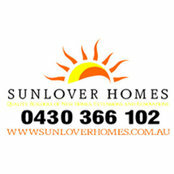 SUNLOVER HOMES is a progressive, young residential building company, Family-owned and operated by 2 brothers, Todd and Brett Faulkner. We have 12 years experience building on the Gold Coast in the New Home, Renovation and Home Extension market. We pride ourselves in providing a high quality outcome while maintaining one-on-one personal contact with our consistently satisfied clientele. We have a Quality product which is 2nd to none and a confidence that we will exceed all of your expectations. At SUNLOVER HOMES you will speak directly to the builder constructing your project, and we are committed to a relationship of working with you to achieve all of your goals.